On August 6, my dear friends Mike Jackson and Kim Novick are getting married. Then, they’re having a reception. THEN, they’re having a rock show after-party. Big day. Here’s a poster for the last leg of this celebration triathlon. 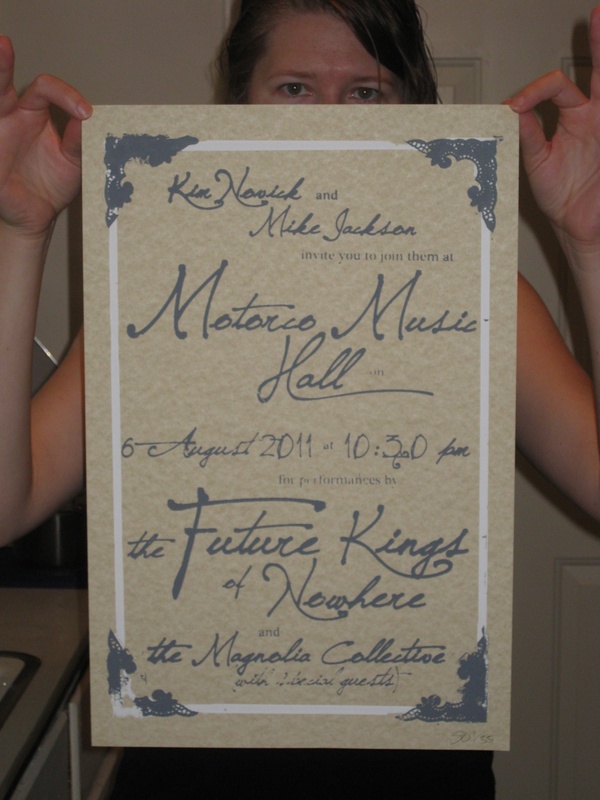 My goal was “wedding invitation if wedding invitations were giant & informal & printed by drunk rock & rollers.” I feel good about the result. The lady displaying this poster is the lovely Maggie Morgan. Cheers, and much love to Mike and Kim.